Action Pussycat provide great entertainment options for your business launch, promotion, festival or event. 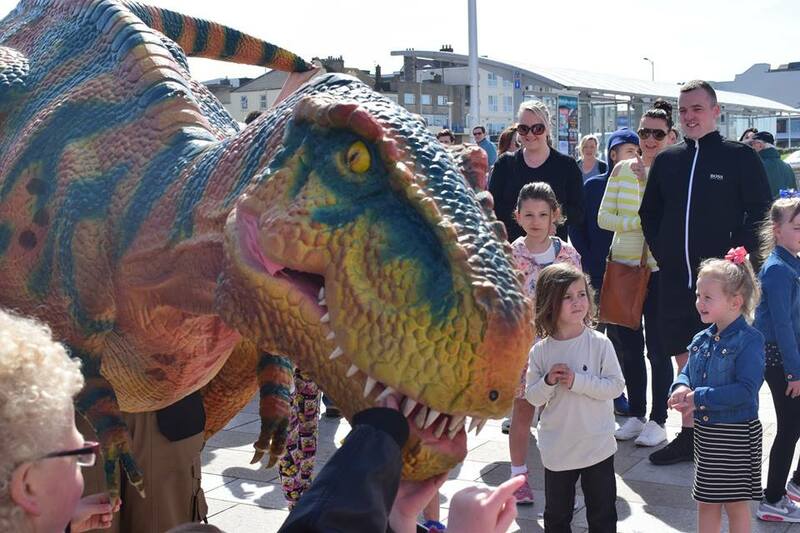 From close up magic to interactive family stage shows to a 4.5 meter long T Rex, they provide exciting, eye catching entertainment that your customers and audiences will love. Established in 2001 in Somerset, Action Pussycat has a reputation for providing great, high energy entertainment. In addition to the very popular birthday parties they offer, they work with tourist attractions, festivals, town centre management teams, charities and holiday camps to provide fantastic children’s entertainment from street entertainment to stage shows. Visitors to the Showman’s Show won’t be able to miss them on Wednesday 17th October. Ade will be escorting Rory, his 4.5 metre long pet T Rex around the showground. You will see first-hand what an amazing sceptical Rory is as a crowd of people follow him about. Fully interactive, he roars, poses for photos and plays with his audience, with his handler who will talk about the dinosaur with fun facts and information. Ade will also have some of his close-up magic at hand. From mind reading to illusions, he will leave you believing in magic. Ade can do close up magic to mingling groups or perform a laugh out loud interactive family comedy magic show. Action Pussycat entertainment packages can add the WOW factor to any event, promotion or festival. As a special Showman’s Show offer, mention SHOWMANPUSSYCAT and you can get 10% off bookings and make your events a roaring success.